Scientists at the Cancer Research UK Cambridge Institute are set to play a key role in a multimillion pound Cancer Research UK project which aims to revolutionise the prevention, diagnosis and treatment of cancer. The Winton Group will collaborate with a team of international researchers on a £20 million ‘Grand Challenge’ research project, looking at new ways to tackle cancers linked to chronic inflammation. The team at the Cancer Research UK Cambridge Institute will be led by Dr Doug Winton and is set to receive over £1.4 million over the next five years as part of the global project. We are very excited to be collaborating on this pioneering project which unites different kinds of researchers – biologists, physicists and engineers – who can challenge the way we currently treat cancer caused by inflammation. They will work with scientists in London, the USA, Canada and Israel to help unravel how chronic inflammation is linked to cancer. Recent work shows that the cells surrounding cancers can control whether or not the cancer grows or disappears. The aim is to determine whether it’s possible to treat those cells rather than treating the cancer cells directly. The scientists want to find new approaches to treatment – from repurposing everyday anti-inflammatory drugs, to designing cells that target cancer-promoting tissues. The group will use mouse models to test these new therapies. People in Cambridge have every right to feel proud of the world-class research taking place on their doorstep and of their fundraising efforts, which are helping to beat cancer. 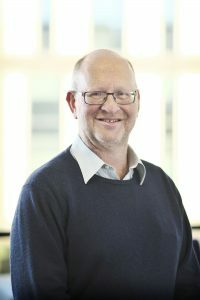 Dr Doug Winton, Group Leader at the Cancer Research UK Cambridge Institute, said: “We are very excited to be collaborating on this pioneering project which unites different kinds of researchers – biologists, physicists and engineers – who can challenge the way we currently treat cancer caused by inflammation. Danielle Glavin, Cancer Research UK spokesperson for Cambridge, said:“Grand Challenge gives us the perfect opportunity to address complex questions and cross new frontiers in our understanding of cancer, to transform the lives of patients. “We’re excited to be able to fund such innovative research which brings cancer experts in Cambridge together with their counterparts in the USA, Canada, Israel and London.